There are tons of winter care tips for people, so why not for dogs too? Moisturizers, warm weather gear, nutritional changes – we all have to make adjustments for the season, especially in the northeastern states. Westport pet owners need to stay on top of seasonal changes and seemingly small issues, such as anxiety issues in dogs or heartworm treatment for dogs, all of which can be treated at your local Dartmouth animal hospital. As the temperatures drop and the snow begins to fall, make sure that you are doing everything you can to take care of your favorite furry friend. You use lotion and make sure that your skin doesn’t get dry or chapped, and there are special balms that can be used to moisturize paw pads, especially if your pet walks on salted sidewalks without booties. Rinse or wipe off any salt and chemical that gets on your pet’s paws, checking carefully between toes. The balm is used as a preventive to create a barrier to prevent burning and damage caused by salt and other de-icing chemicals, but it also helps to moisturize, if dryness and chapping occur. As we get older, we tend to get more aches and pains in our joints and bones, especially when cold weather hits. Pet owners can ask their local veterinarian at the Dartmouth animal hospital about supplements, medications and treatments that can be used for controlling inflammation. Even if your pet is outdoors for much of the time during the spring through fall, make sure to bring them indoors in the winter. Control anxiety issues in dogs by making sure that they have a comfortable and quiet place to rest, especially if you are having guests over or if you will be gone for much of the day. Being outdoors too long can lead to frostbite, hypothermia and cold weather related illnesses. There are many things that can hurt dogs in the winter, including exposure to fireplaces, heaters and seasonal plants that are toxic. Short hair dogs may need a sweater when out on walks in the winter and, while most will not tolerate it, it is worth it to try booties for extra protection from the snow, ice and de-icing products. Just as you need to use conditioners for your hair to keep it from getting too dry, the same holds true with your four-legged friend. 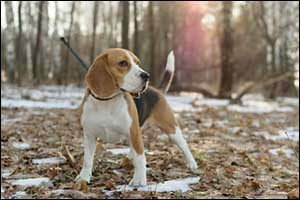 Westport pet owners who use groomers can ask about hot-oil treatments or other moisturizing masks for fur that can be used to prevent excessive dryness. Just because it’s cold outside doesn’t meant that you pet won’t be exposed to pests, including fleas and ticks. Speak with your veterinarian at the Dartmouth animal hospital about preventives for fleas and ticks, as well as year-round heartworm treatment for dogs. Proper nutrition is important all year-long, so Westport pet owners should consult with their veterinarian to find out about the amount of food that should be fed. In the winter, some dogs may require more protein to help keep them healthy and strong. Be careful not to overfeed, but additional calories may be required for your pet when the temperature drops too low. It is important to make sure that your pets have clean, fresh water available to them at all times. They can become dehydrated in the winter just as easily as they can in the summer. Make sure that their water does not freeze or become dirty if you leave it outdoors or in a garage area outside of your home. As the snow starts falling, it is important to take care that it isn’t creating a dangerous situation for your dog. If snow piles up along the fence line, it can create an escape route that will allow your dog to get out of the yard. Icicles and snow on roofs can melt or break off, causing an injury to your pets. Clear snow from sidewalks and pathways that are used by you and your pet to prevent snow and ice related injuries. If you bring your dog with you to the store or on a family trip, make sure that you never leave your dog unattended in the car. While most people understand the importance of this during the summer, many don’t realize how important it is in the winter. Freezing temperatures can cause hypothermia and a running car can lead to carbon monoxide associated risks. Your best bet is to leave your dog at home if you need to run errands or put your pet in boarding if you will be gone on a trip for a long period of time. Westport pet owners can bring their dogs in for seasonal check-ups or to get advice on cold weather preventive treatments. Give us a call at 508-996-3731 to schedule an appointment. Our team of highly trained and experienced veterinarians can help with anxiety issues in dogs or prescribe vaccinations and other preventives, such as heartworm treatment for dogs. Call today for even more tips on how you can protect your pets in the winter.